Peter Weygandt Selections are a near constant feature of top wine journals, including Robert M. Parker, Jr.'s The Wine Advocate, The Wine Spectator, Stephen Tanzer's International Wine Cellar, and Burghound. Peter has also been mentioned in Time magazine and The New York Times, and featured in Business Monthly and numerous wine publications, most recently Food & Winemagazine. In recent years, he has expanded his portfolio to include Italian, German, Austrian, Australian, and Spanish wines, bringing his total to more than 100 producers. 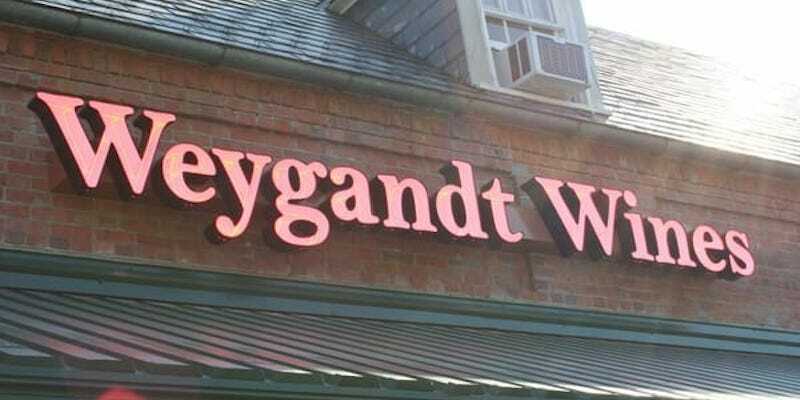 Weygandt Wines is the next natural step for the Weygandt-Metzler portfolio: to create a retail store dedicated to showcasing the value, quality, and diversity of selections in the Peter Weygandt portfolio—from the most well-known viticultural regions, to hidden corners of the wine world and talented up-and-coming producers. It is a place where consumers can come to learn about the portfolio and drink delicious wine—as well as to meet Peter and our wine growers, both of whom are frequently in the shop. We also offer special events, including weekly in-shop wine tastings, special craft beer & spirits tastings, private wine events, food & wine pairing parties, and more. Wines with an extra dimension of character come from special winemakers—people of talent who work hard, but also have that extra feeling about what they do that comes through in their wines. Our main objective is finding these people from all around France, Austria, Germany, Italy, Spain and Australia. We offer our customers a unique selection, wine tastings, and friendly, knowledgeable service. Values for any price and palate. Warren joined the team in 2011 as an assistant manager and stepped into the role of general manager in early 2016. The appreciation of wine as part of a meal and the winemakers who work the vines is what drew Warren to Weygandt Wines. Over his years at the shop, this has been galvanized through travel with Peter to meet our producers to better understand the process from vine to glass while sharing these stories and wines at the shop with our clients. Warren strives to create conversations about winemakers and their wines, whether to build our client’s cellars or select the perfect bottle for a simple weekday meal. Ed is a Certified Sommelier and a graduate of the Culinary Institute of America in Hyde Park, New York. Before that he earned a BA in European History from Wesleyan University in Middletown Connecticut. In between Wesleyan and CIA, Ed discovered his true passion was food and wine. What he particularly liked was the way that food and wine brought people together. He has run beverage programs at 2941 in Falls Church and for Jeffery Buben at Vidalia and Bistro BIs. His travels have taken him to Languedoc, the Roussillon, and Provence in France, and Rioja and Basque country in Spain. In the U.S., he has a particular passion for the wines of Oregon. At Weygandt he is developing wine classes, building the spirits program, working behind the tasting table, and taking a lot of pictures. When not at Weygandt, he can be found trying to perfect his manhattans, old fashioneds, and chili.